This week was another great trip to Yongdongpo. 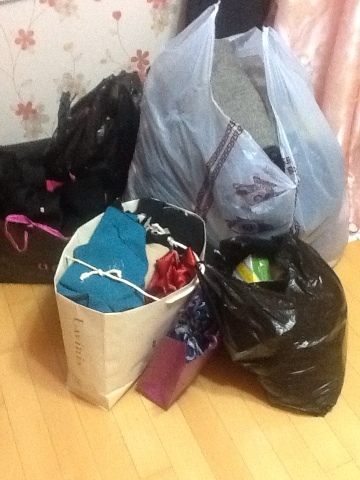 Somebody donated clothing and we had 100.000 won to spend on things to give to people in Yongdongpo. 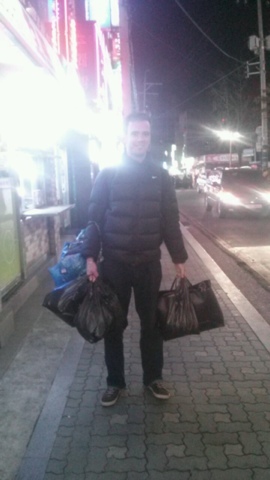 We spend 50.000 won on 40 pairs of socks and the rest of the money on tangerines and nuts to hand out. 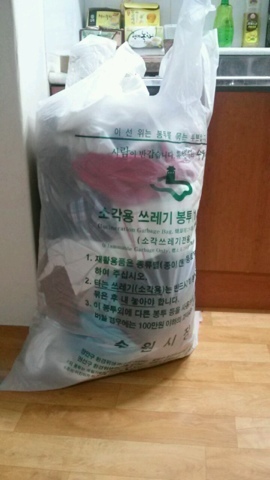 We will try to mix clothes with some healthy fruits or food every week when we go out on the street. On Sunday we discovered some new areas of Yongdongpo and we met new people - this led to some good talks and we now have some people waiting for next week as we will visit them again. It is really nice getting to know people there, and hearing their story and learning about the individual person. We also had around 10 kilo of clothes that we handed out and it was all good and solid clothes that was warm and of a high quality. That same night we received two major donations - all together around 30 kilo. Those clothes will be handed out next week and we believe for a monetary donation so we can buy fruit once again. Next week we will bring 2 people with us to clean the street of garbage. The area we move around in is very dirty and it does not look nice. But Project Yongdongpo exists for this kind of problem, so we have decided to target this in a very practical way and simply clean the area. We are always excited for this chance to get out and serve the community in this way. If you have any questions or want to donate or contact us in any way please use our Fb page: Project Yongdongpo or contact Emil at emil.rockcity@gmail.com.